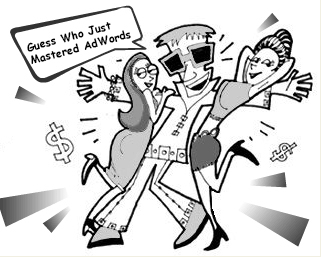 If you are new to AdWords advertising and have read all the cool stories of AdWords millionaires, you probably expect that after your first campaign, you will get rich. While in theory this isn't impossible, the odds for it happening are pretty small. You do need to have a more realistic approach! Otherwise, you will be disappointed very soon. Yes, a properly executed AdWords campaign can drive sales and increase your site's popularity but if you expect miracles, this is unlikely to happen, especially in this economy. If you have properly targeted your keywords, then the chances these visitors will convert to buyers, are higher. Users browse the Net all the time in search of products, services, or just information and if your ad draws their attention, they click it and come to your site. Once they are on your site, they can either stay, or leave. If the information, product or service you are offering is not what your visitors need, they will leave. This is a loss for you � you paid for them coming to your site and now they leave without making you money. But you can't blame AdWords for this. They did their job � they showed your ad and brought a visitor. Of course, you can't expect every visitor will turn into a buyer but if you have many clicks and few or no conversions, this should ring a bell that your ad and/or landing page aren't what your visitors deem adequate. Another way in which AdWords can help you by bringing more traffic to your site is to help you build a newsletter list. Getting a visitor's email address and other contact info (plus his or her interests) is easier than convincing them to pay for your products. Once you build a newsletter list, you can start sending them offers. This way, even if you don't make sales directly but you manage to build a newsletter list of visitors who are interested in your products or in your niche in general, you are still winning. Well, to be honest, there are cheaper ways of building a newsletter list than with expensive AdWords clicks but still there are marketers who target cheaper clicks in order to build their list and then make a profit from it, so the whole thing must be working (at least for them and for their niche). Obviously, the first possibility is the best, while the second is the worst. The third one is in-between � it could be profitable for you, but it could also be a big loss. It all depends on if you make more money from a click than you spend on it. If you buy $.50 clicks and make $1.00 from them, then you are doing well and AdWords is working for you. As you see, AdWords advertising can do a lot for you. However, it's not almighty. One thing it can't do is sell your crappy product. Yes, you can spend a lot on ads but if your products are crappy, don't expect you will make sales. 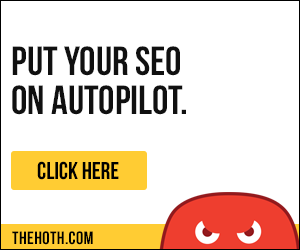 You can't cheat visitors, not only because this could get you banned from AdWords but because this way you will be hurting your reputation and the damage from this could have detrimental consequences for your business as a whole.